The Foundation Fighting Blindness, a national nonprofit organization dedicated to finding treatments and cures for blinding retinal diseases, presented the Llura Liggett Gund Award to University of Florida researcher William W. Hauswirth, Ph.D., at its national conference last month. The award recognizes individuals who have made a significant impact on retinal disease research throughout their careers. It is the foundation’s highest research honor, bestowed on just eight people in 42 years. “I'm quite honored to receive this award and am humbled to be in the company of such an august group of previous awardees,” said Hauswirth, the Rybaczki-Bullard research professor of ophthalmology in the UF College of Medicine, a part of UF Health. Hauswirth began his gene therapy research in the late 1980s — the same decade he joined UF’s ophthalmology faculty. He is a member of the UF Genetics Institute and the Powell Gene Therapy Center at UF, as well as a joint faculty member in the department of molecular genetics and microbiology. His research, which is largely funded by the National Institutes of Health and private foundations such as the Foundation Fighting Blindness, focuses on treating retinal diseases with gene therapy. “It’s been exciting to watch Bill’s research evolve from the basic science studies of determining how gene expression is controlled in specific cells in the eye, to now applying those foundational studies to target the carefully controlled expression of genes as therapies for a wide range of eye diseases,” said Wesley Clay Smith, Ph.D., the Shaler Richardson chair in ophthalmic services at UF. Since 2009, Hauswirth’s team has helped 12 people born with an incurable form of blindness known as Leber’s congenital amaurosis regain some of their vision using gene therapy. Hauswirth also showed how gene therapy could cure squirrel monkeys of color blindness — the most common genetic disorder in people. The finding, which was named the No. 3 scientific discovery of 2009 by Time magazine, represented a significant step toward curing human vision disorders involving cone cells. He is currently working on treatment for a common form of blindness that is passed from mothers to sons: X-linked retinitis pigmentosa. This genetic defect is characterized by an initial loss of peripheral vision and night vision, which eventually progresses to tunnel vision and then blindness. Hauswirth hopes to reverse this by replacing a malfunctioning gene with a properly functioning copy that supplies a protein necessary for light-sensitive cells in the eye to work. Hauswirth also collaborates with other principal investigators around the world by providing them with hundreds of free gene delivery vectors, genetically engineered molecules designed to carry DNA to a cell, for laboratory and clinical studies devoted to eye disorders. 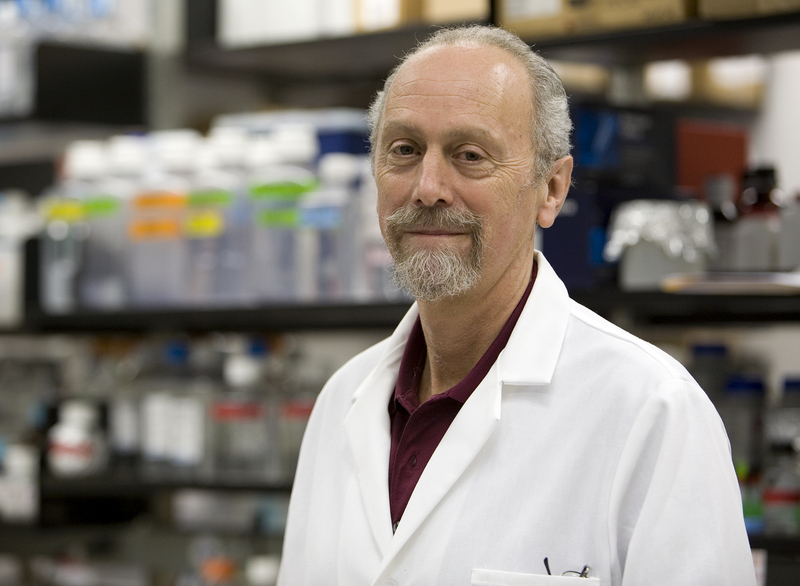 “Bill’s accomplishments in basic and translational research in gene therapy for ocular diseases have set the foundation for many additional gene therapies in other tissues,” said Gregory Schultz, Ph.D., a UF Research Foundation professor in the department of obstetrics and gynecology.